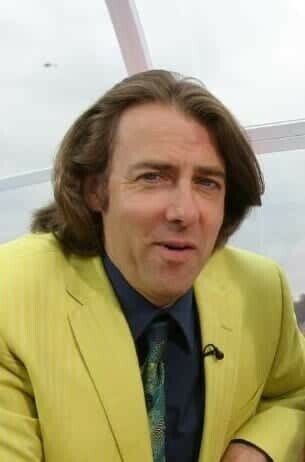 So TV celebrity Jonathan Ross is back on our TV screens in what looks like a remake of the David Letterman show. Whatever you think about these rather loud-mouthed chat show presenters, there can be no doubt that they both have personality. Of course, we all have a personality – it is just that some people have a more obvious one than the rest of us…! New research, however, shows it is not just people that have loud personalities; it seems that we ascribe personalities to businesses. So what company is the “Jonathan Ross of the business world”? Which online firm is the equivalent of Lady Gaga? Is there a company which is the Prince Philip of online business? The study has been conducted using interviews with several thousand people in the UK and Germany and has produced significant results. The research team found that we ascribe personality to businesses using just four measures – honesty, prestige, innovation and power. It appears those are the four characteristics we are looking for in businesses. We expect them to be honest – and online trust is a massive issue. Prestige is simply associated with business size and the kind of products a business sells; luxury goods from big firms are the most prestigious. Innovation is simply related to growth – if your business grows, it is seen as innovative (even if in reality it is not). And power appears simply to be related to financial matters – the more profitable the company, the more powerful. What does this all mean for your business? Well it means you can focus on being seen as one kind of business or another. If you want people to ascribe the “prestige” personality to your firm you simply need to concentrate on luxury and/or employing lots of people. If you want to be seen as powerful, you just have to grow your profits substantially. And if you want to be seen as innovative, just grow your business overall. The study actually reveals how limited our views are of business. Rather like TV celebrities we make assumptions. We have no idea if Jonathan Ross is really loud-mouthed – that’s only the aspect of his public, on-stage persona we see on TV. At home, in the office he may be the opposite for all we know; we have no real knowledge of him. Equally, we may think of a company like Cartier as being a prestige business, but we have no idea as we don’t work for them and have never traded with them. They might be completely different on the inside. It seems that when it comes to personality – whether that’s human or business – we make assumptions based on only what we can see. So, which of the four business personality words do you want your customers to see? Prestige, Power, Honesty or Innovation? This latest research suggests you have to choose one; if you don’t your customers will.